Here we present selected completed project examples were Ingemar Pongratz and / or Pongratz Consulting were highly active in all the different project phases, including proposal planning, design, preparation, management and reporting. In total Pongratz Consulting has successfully applied for over 50 Million EUR in project funding and has been actively involved numerous projects, starting from FP6 and FP7. Now we are already planning for Horizon 2020 projects. CASCADE: CASCADE was a Network of Excellence coordinated by Professor Jan-Åke Gustafsson from the Karolinska Institute in Stockholm Sweden. The aim of CASCADE was to integrate the European Research Capacity in the area of chemical contaminants in food. CASCADE was large 14.4 Million EURO project which included over 20 European Research teams. PATHFINDER: Ingemar Pongratz wrote the PATHFINDER proposal for the DESCARTES Prize for best European Collaborative European Research in 2005. The PATHFINDER proposal was composed of 6 research teams, including a group in Singapore and was selected as one of the finalist teams by the European Union evaluators. The scientific focus of the PATHFINDER proposal was around the effects of nutrients and chemical contaminants that modulate hormonal signalling in humans. Again, this project was coordinated by Professor Jan-Åke Gustafsson. CommFABNET: Coordinated by YOURIS this project aimed to improve the information flow from EU funded proposal in the FOOD area towards the public, the scientific community and other stakeholders. The project was coordinated by Maio Martinolli and the proposal written by Ingemar Pongratz. The proposal started in 2012. CASCADE-FELLOW: This project coordinated by the University of Nottingham provides cofunding for a large international post-doctoral program in the Life Science area. The proposal is characterized by its flexible approach and aims to integrate Academic and Industrial research activities in Europe and abroad. 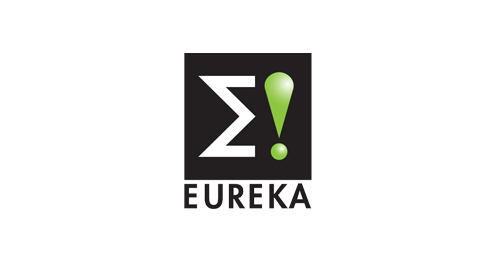 Ingemar Pongratz from Fenix Scientific AB / Pongratz Consulting has support a project consortium to succefully apply and obtain funding through EUREKA! The successful application was submitted 2014 and has been will start early 2015.